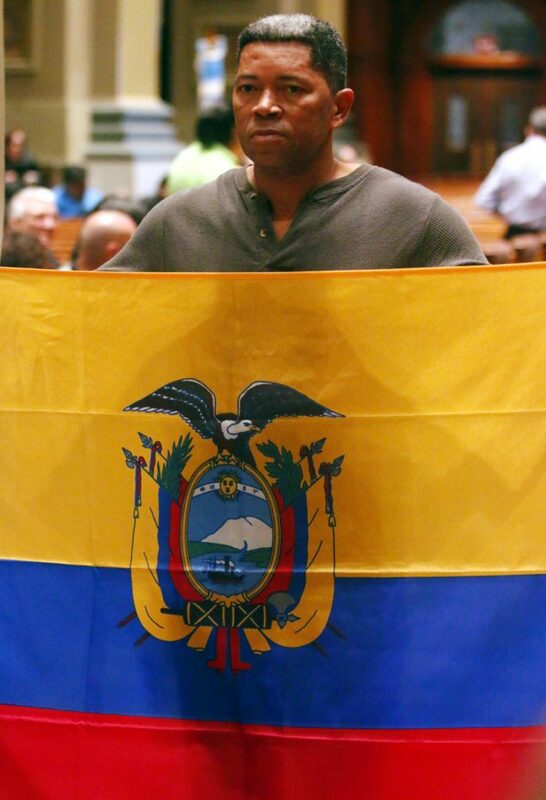 A woman proudly displays the flag of her homeland, Colombia. 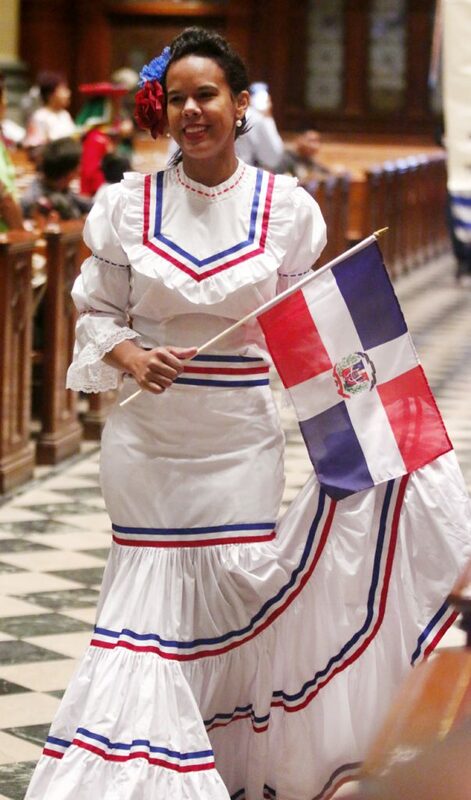 Marilyn Martinez, from St. William Parish in Philadelphia, beautifully represents the Dominican Republic. 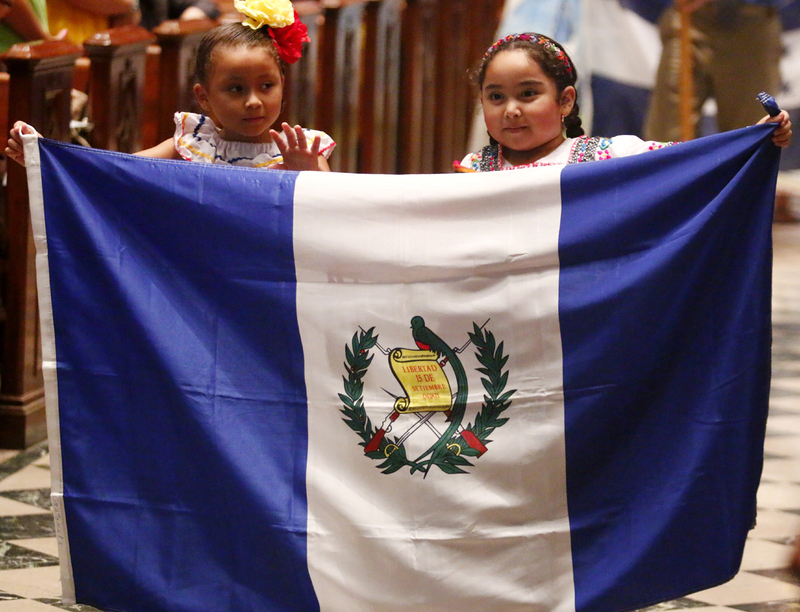 Sophia Nomescaho and Kalin Reese Salazar proudly represent Guatemala. 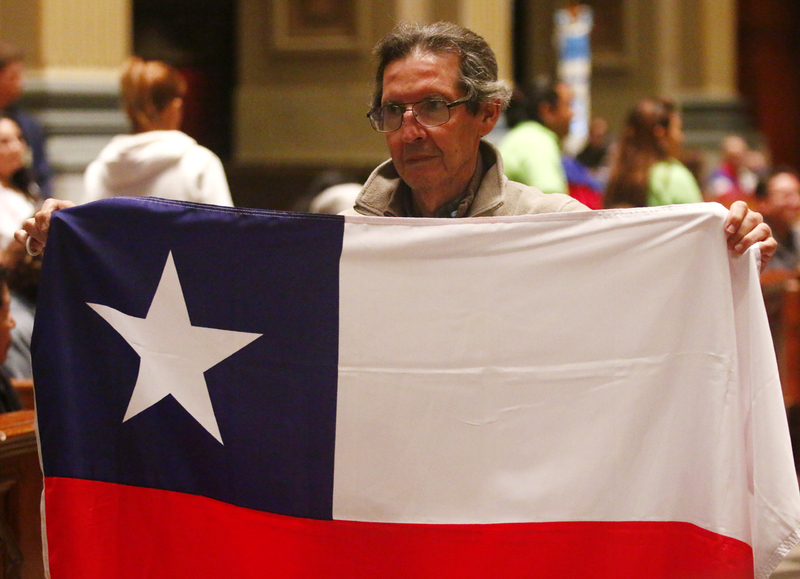 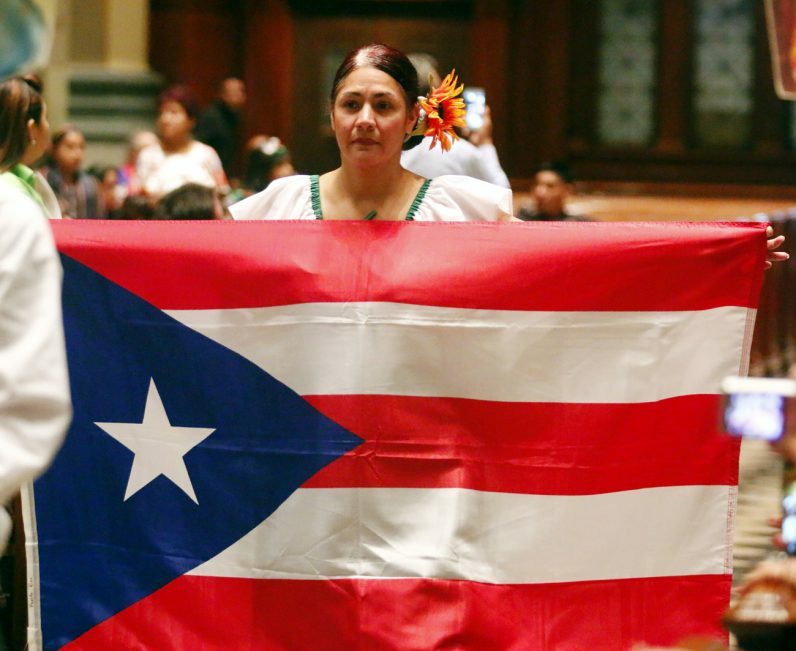 Carmen W. Mendoza, from St. Martin of Tours Parish in Philadelphia, carries the flag of Puerto Rico during the procession before Mass. 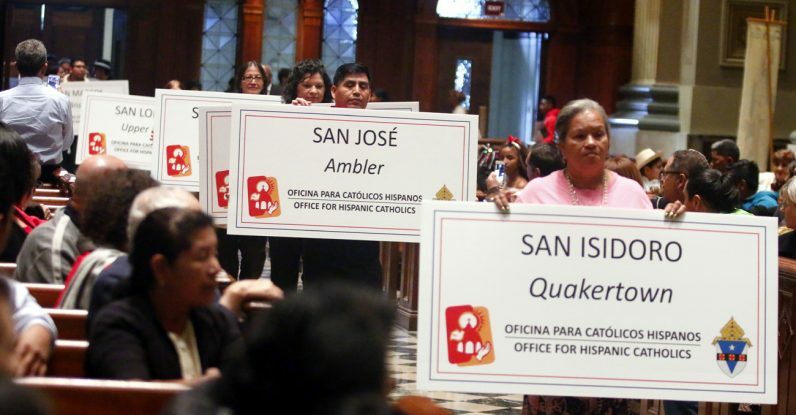 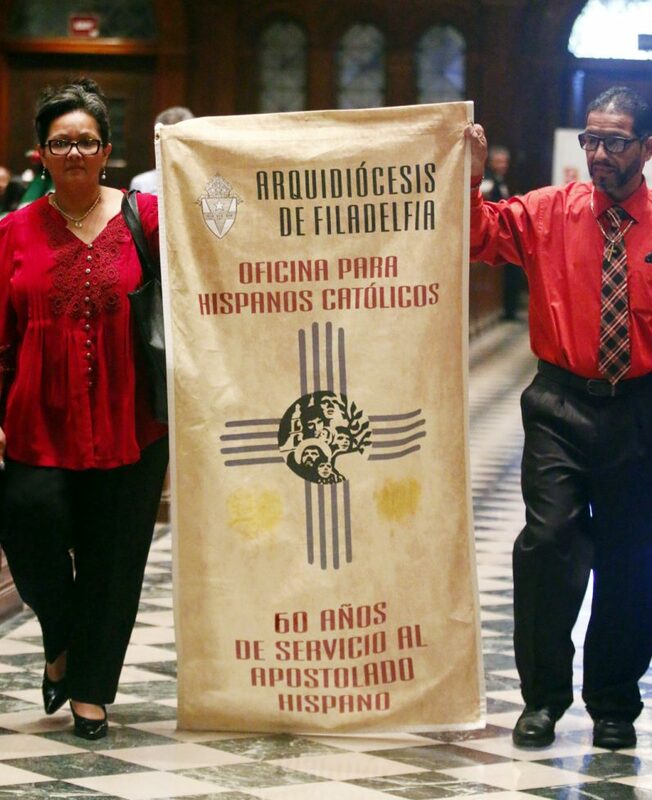 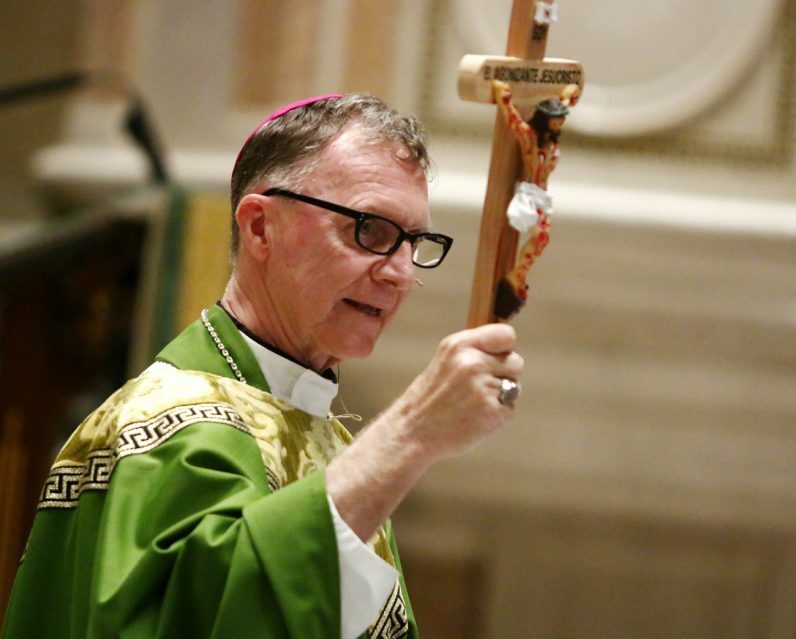 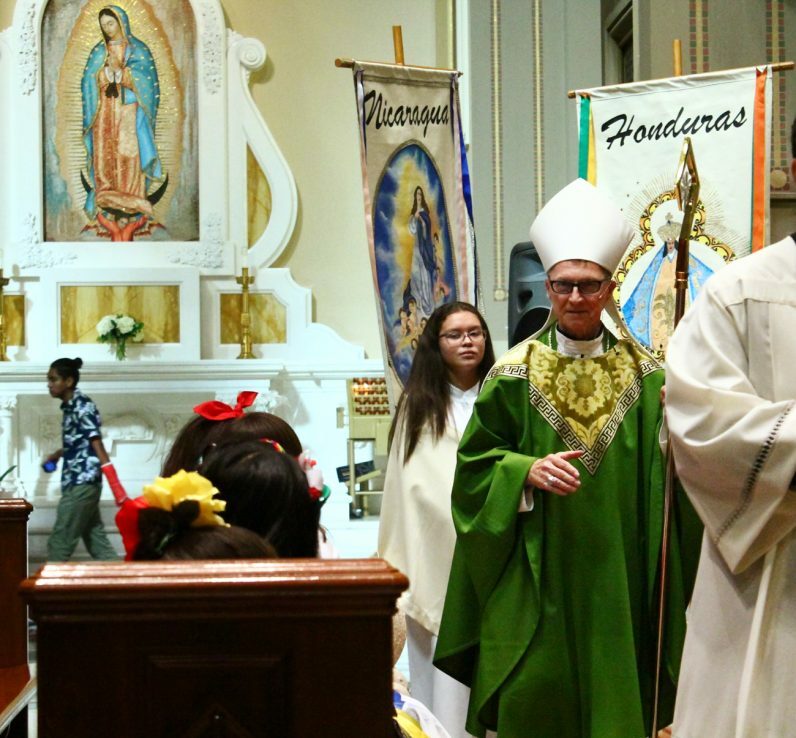 Representatives from all the parishes in the archdiocese with Hispanic communities join the procession with signs from their churches before Mass. 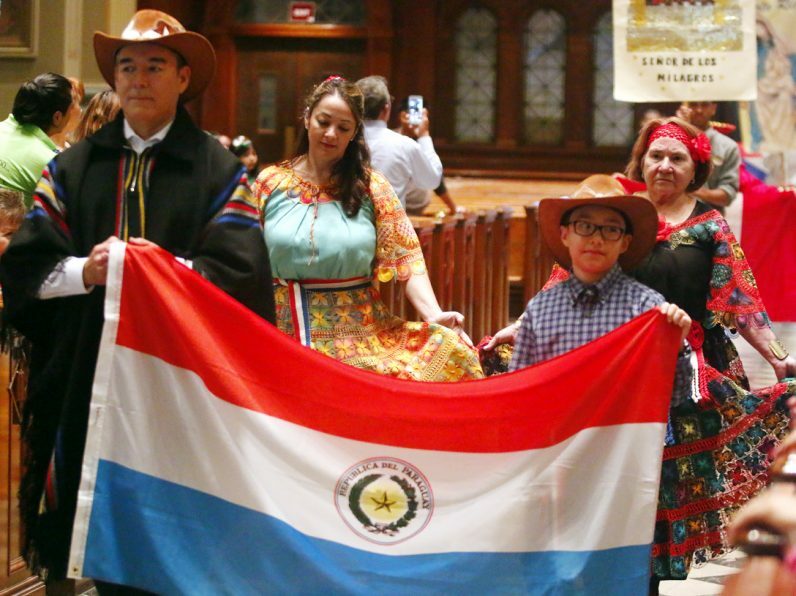 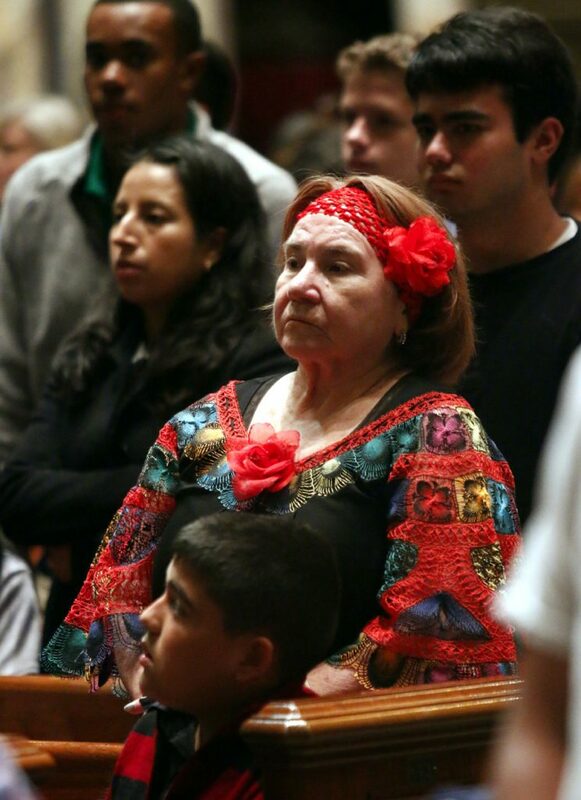 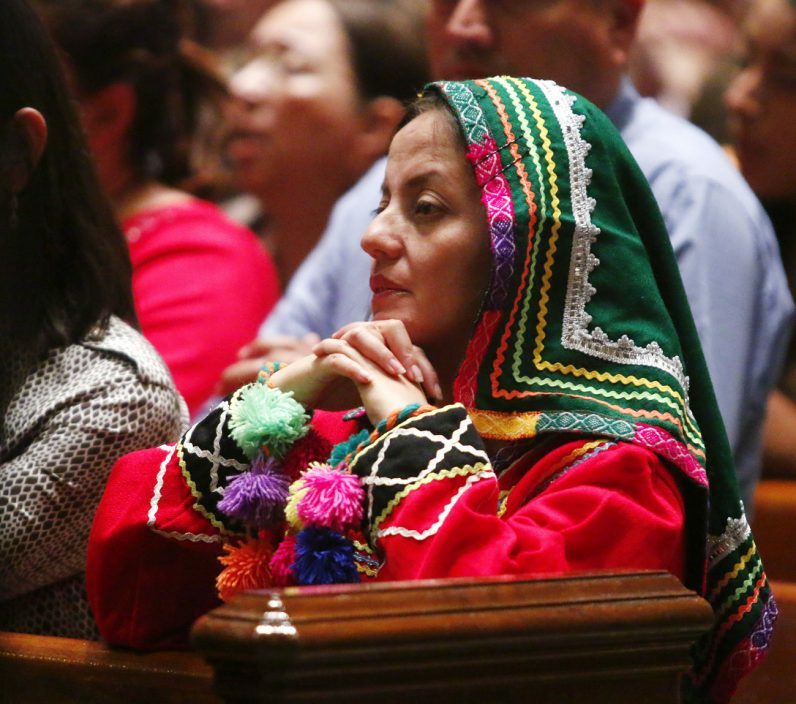 Amalia Lara, from the Paraguay community and a member of the Cathedral Parish, dresses in her native garb for the Hispanic Heritage Mass. 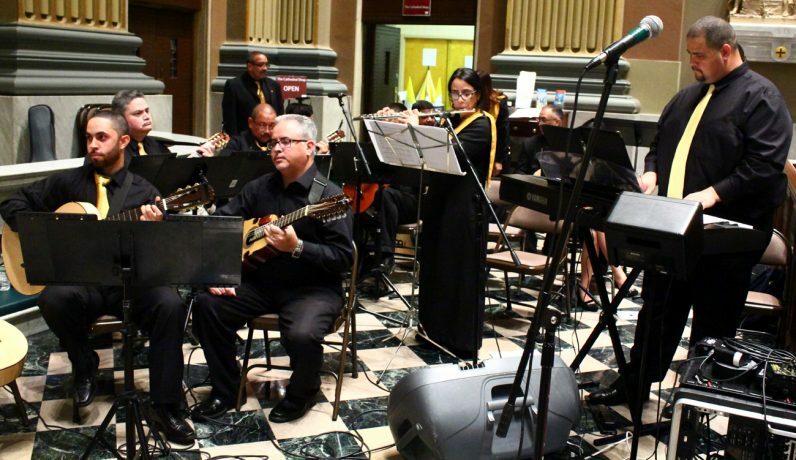 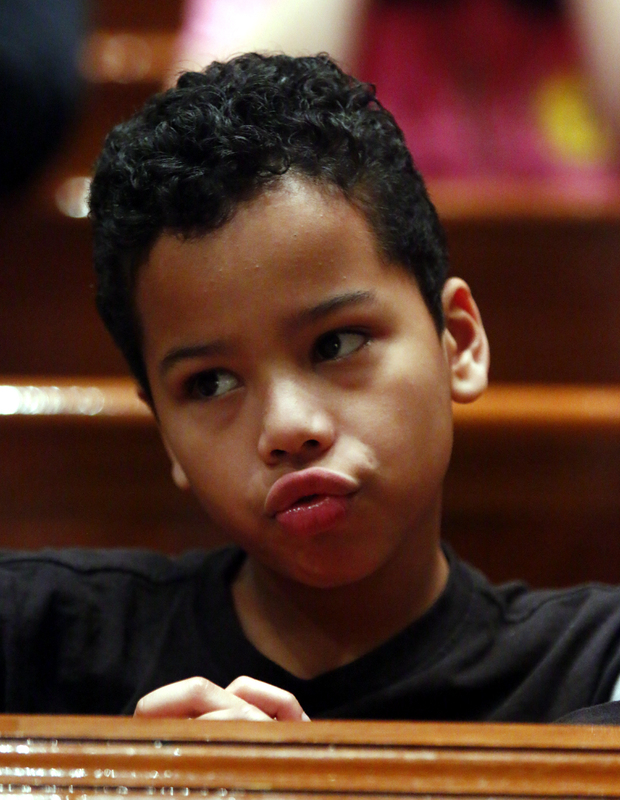 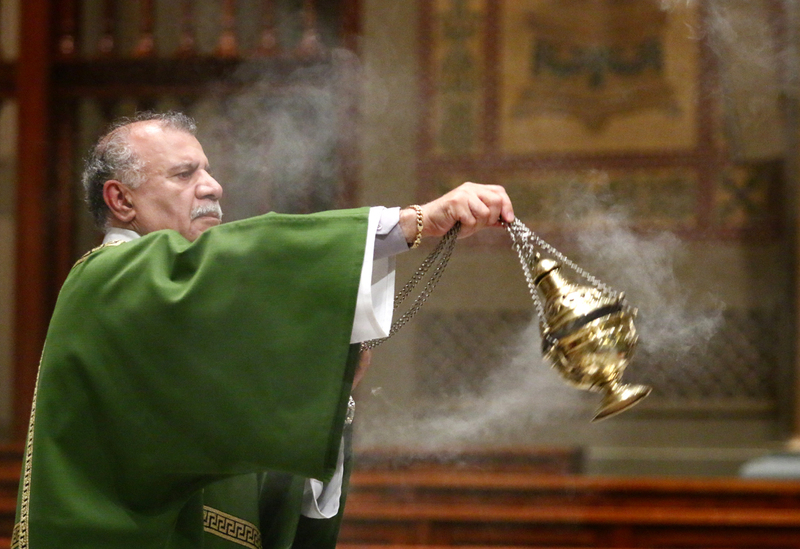 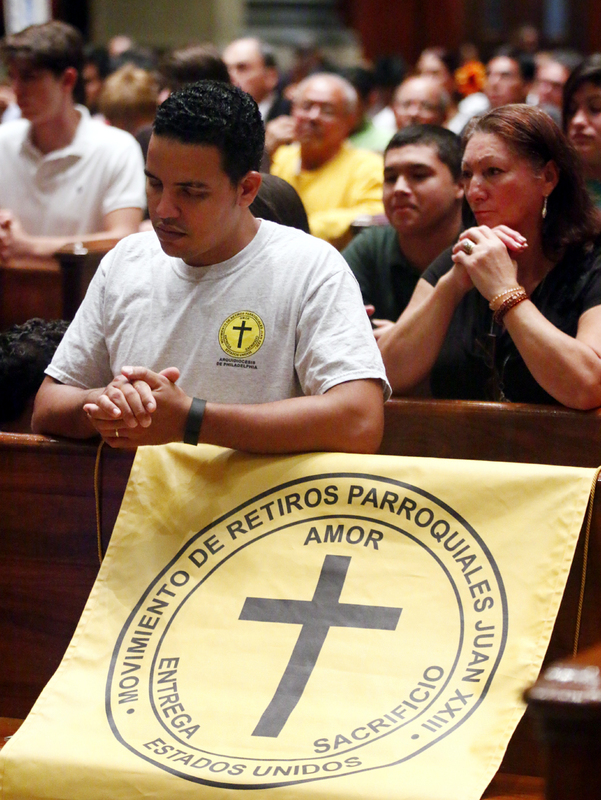 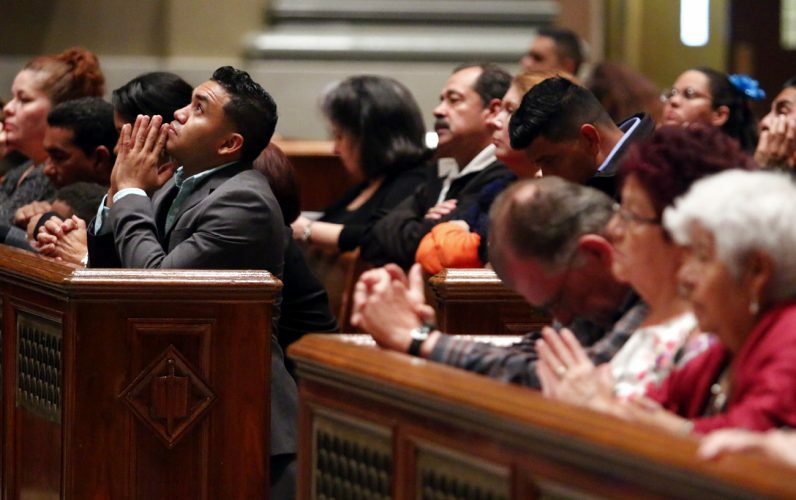 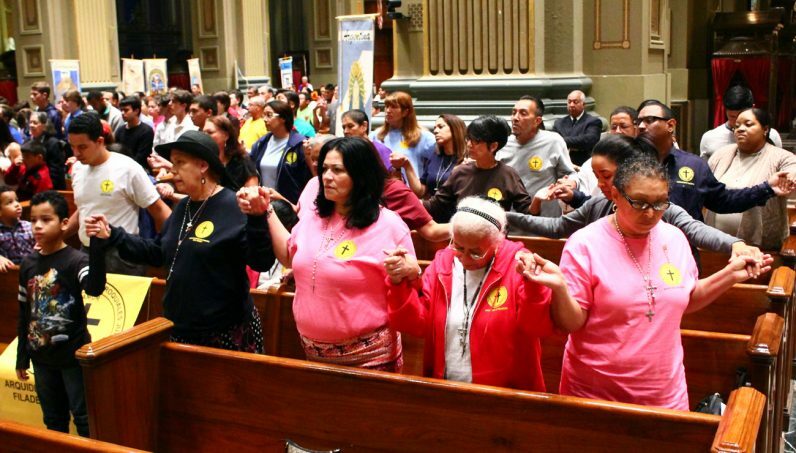 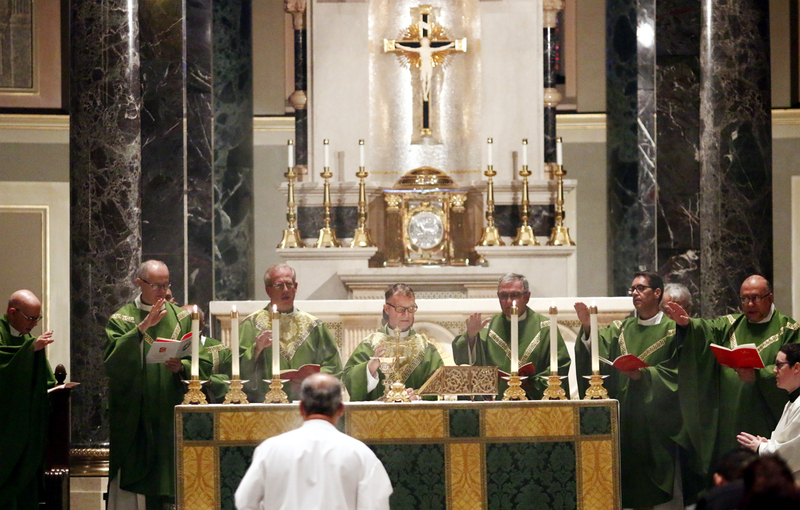 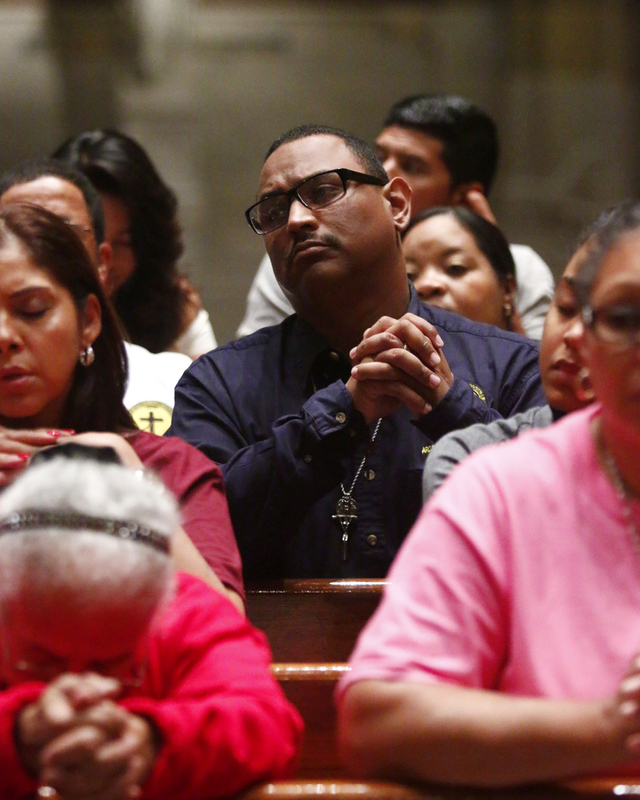 Luis Raul Oquendo, president of the John 23rd movement and parishioner of St. Veronica Parish in Philadelphia, prays during Mass. 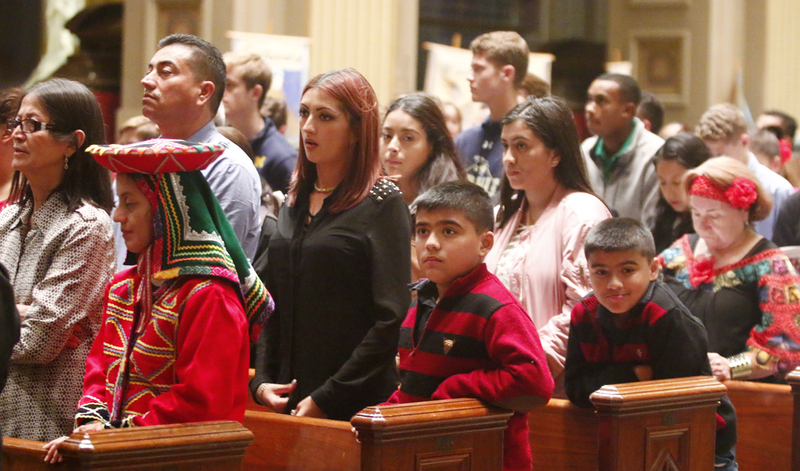 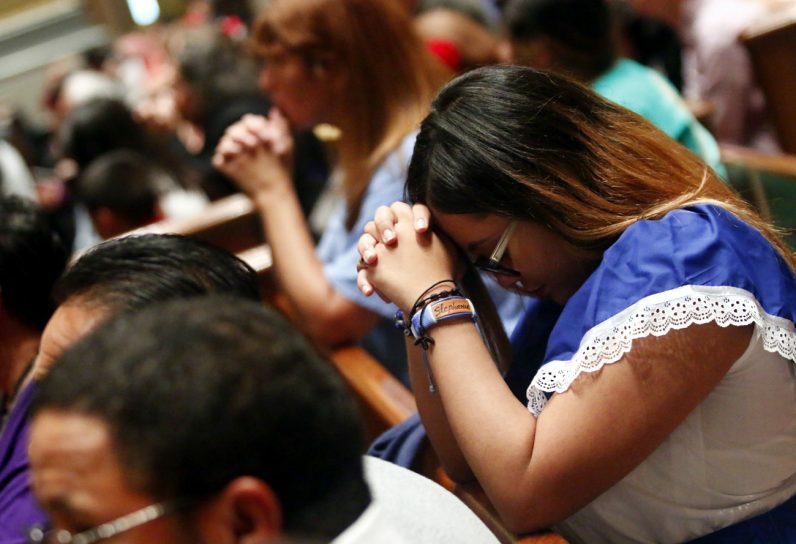 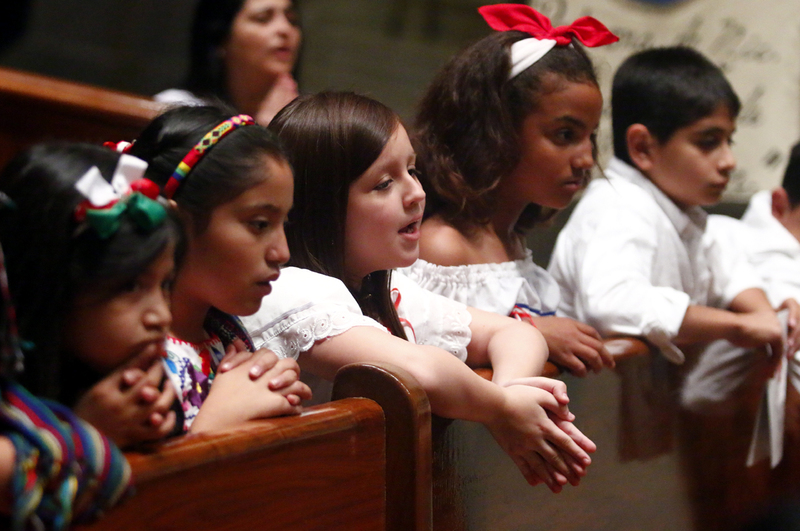 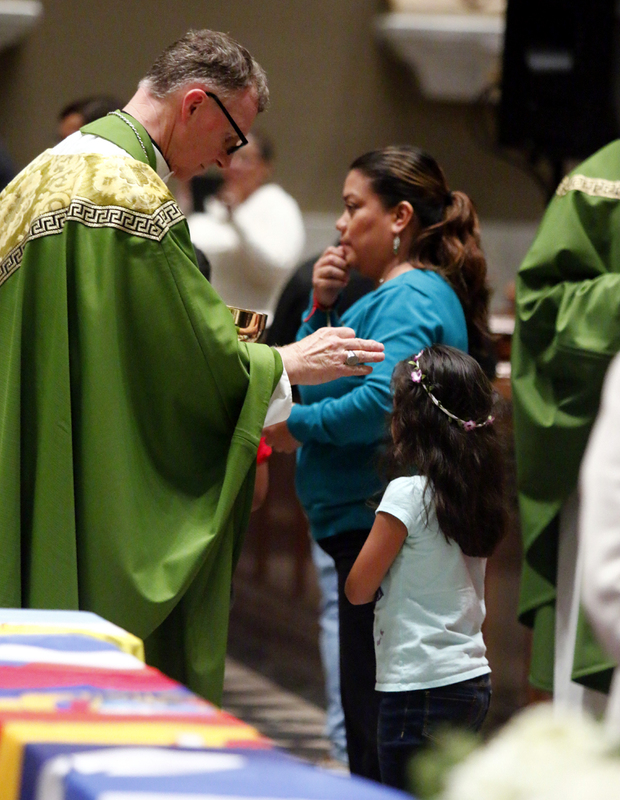 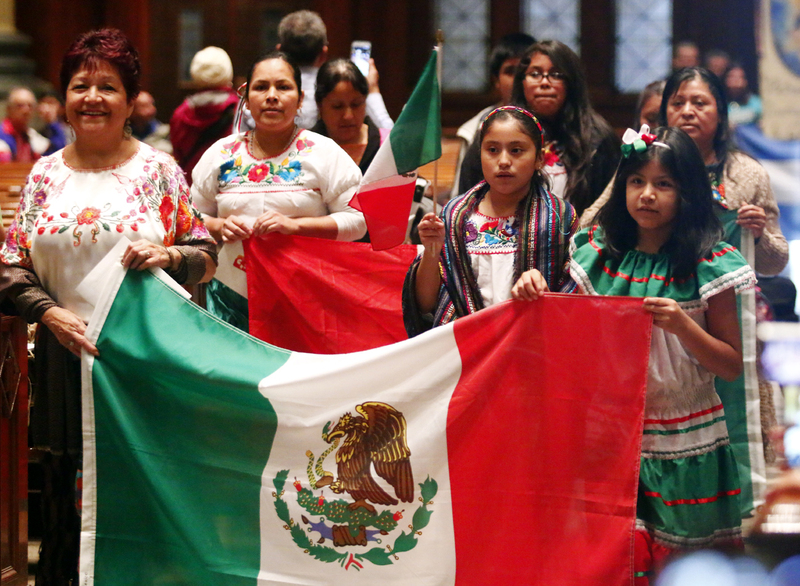 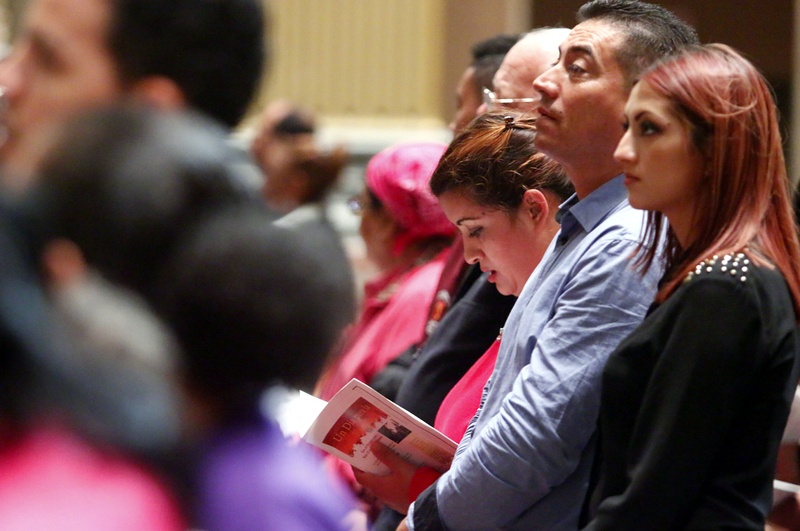 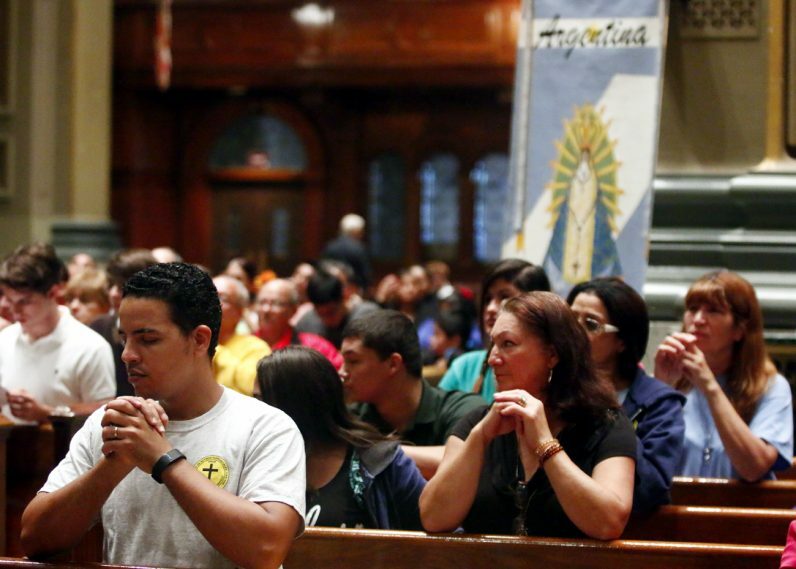 Stephanie Euceda-Nunez, parishioner of St. Martin of Tours, prays during the Hispanic Heritage Mass. 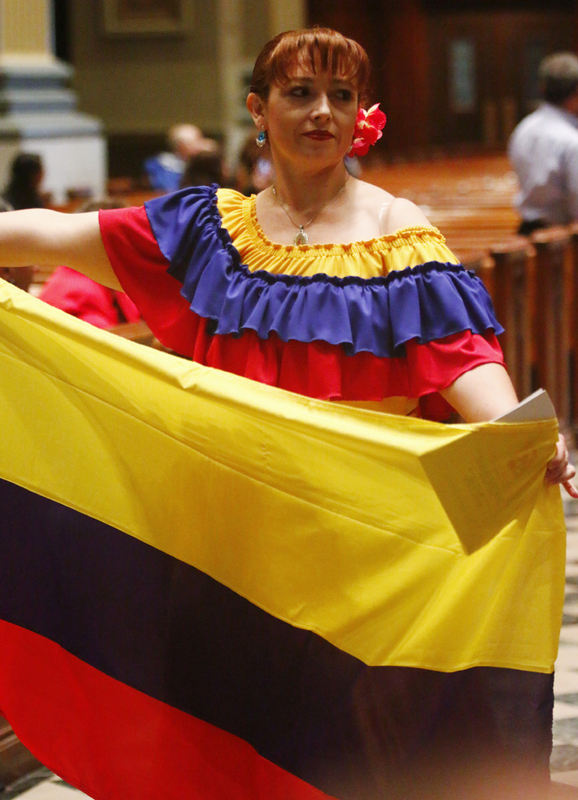 Stephanie is of Honduran heritage. 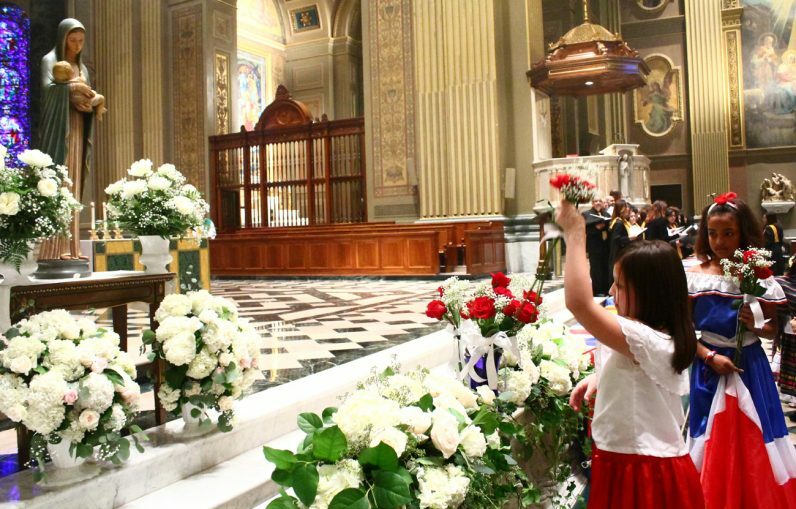 Children present flowers before the Blessed Mother after Mass.